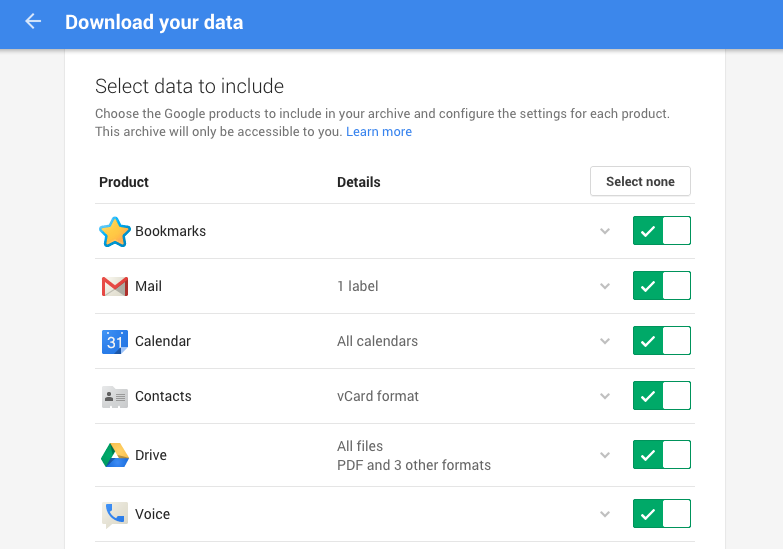 Gadz N Gizz: How to Free up Space in Gmail [ without loosing your data ] ? 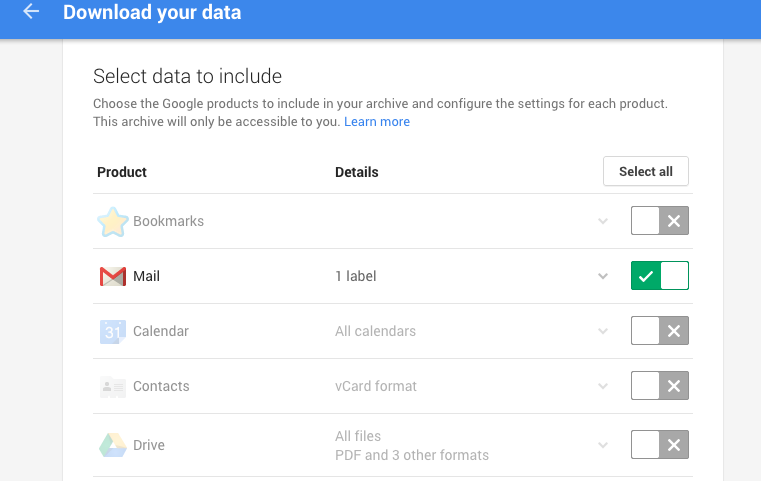 How to Free up Space in Gmail [ without loosing your data ] ? Though Gmail is offering large enough space to it's free users; space is something which is never enough. Use search keywords like larger:10m or older:2000/03/03 to search mails larger than 10M bytes or older than the specified date, respectively. Once the mails are displayed, first select all using the topmost checkbox and then unselect the mails you want to keep. You can use up-down arrow keys to navigate in the mails and hit 'X' to select or unselect. Step 2 : Once the mails are selected, apply a new Label to them so that we can use the feature of downloading mails with a specified label later on. 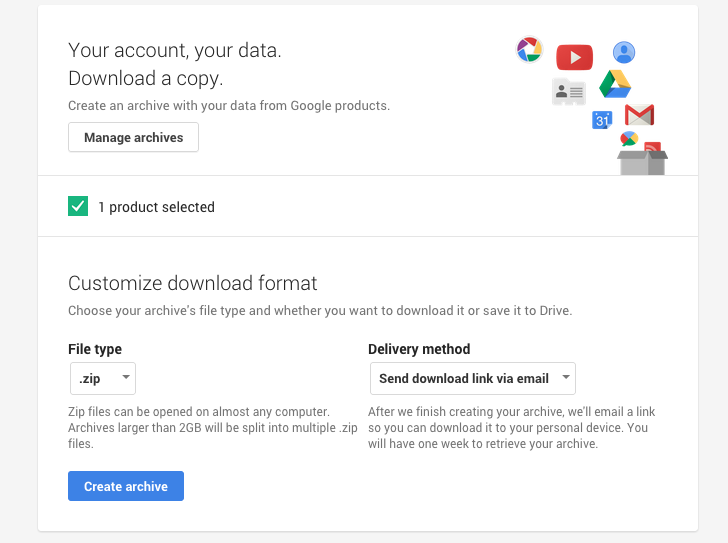 Step 3 : Go to https://www.google.com/settings/takeout?pli=1 or navigate to accounts.google.com and select Download Data. 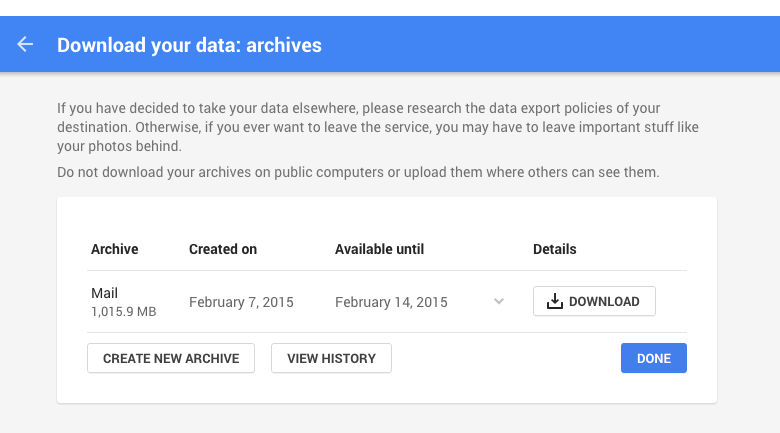 Here we will create an archive using the Google Tools. First, click on Select None to unselect all the features as we only want to select Gmail while downloading our data. Select the Label you have created. Select the File Format and click on Create Archive. This might take some time, even hours, depending upon the amount of data you have selected. Once the archive is ready, you will get a mail with the download link. The mail will be sent by "Google Takeout". Step 4: Once the archive is created and you have got a mail with the link, download the file and keep it somewhere safe. One thing to be noted is this is a time limited archive and has an expiry date. 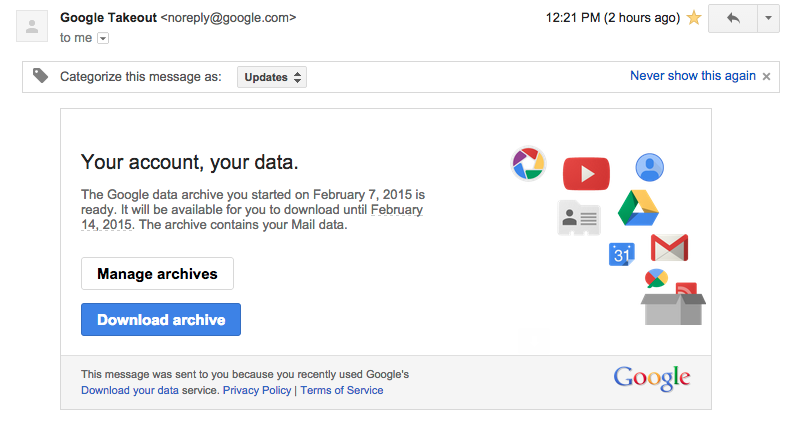 So if you are considering deleting the archived mail to free up the Gmail space, don't forget to download this archive as soon as possible and keep it at a safe place. Step 5 : Delete the archived (and downloaded) mails. Once you have finished downloading the archive successfully. Cross check it for the consistency of the downloaded file and try unzipping it once to be sure. 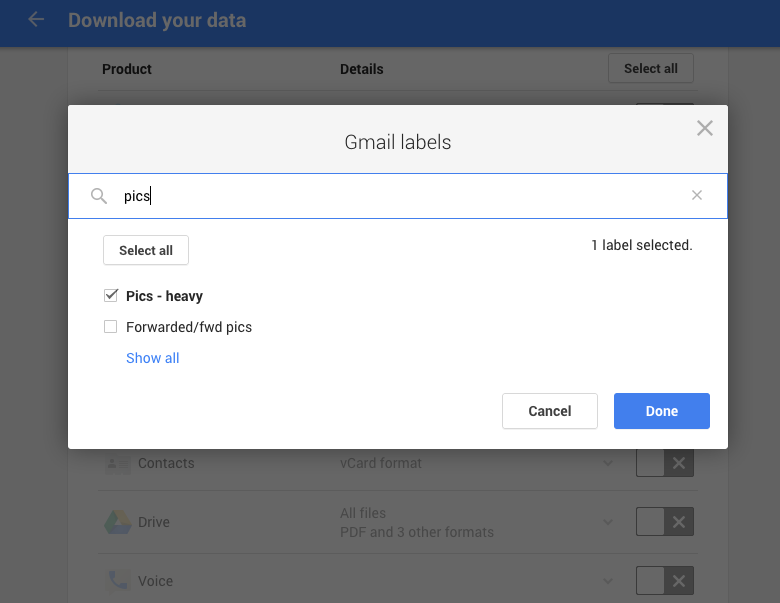 Next, go back to Gmail, select the label that you have just archived, and hit the Delete Button. Once the mails are removed from the Trash, we would have freed around 1GB of the space from Gmail! The downloaded Mbox file can be opened in email clients like Thunderbird.